While no one enjoys the idea of surgery for any reason, there are many cases when surgery is necessary. There is no other area in which this is true than with one’s oral health. People can brush, floss, receive regular cleanings and even remember to use mouthwash, but those steps cannot fix every issue. For one thing, dealing with wisdom teeth or an infected tooth that is beyond saving requires surgery. There are few at-home remedies that can help save the remaining teeth and treat the problem at hand. Fortunately, we can help with our oral surgery services. At High Plains Periodontics and Implant Dentistry, we provide a variety of oral surgery options to help you keep a healthy and functional set of teeth. If you have a dental problem that needs more than brushing or flossing, call us to learn how we can help find the solution. No matter the type of oral surgery, it is crucial to see the dental professional in that field. For instance, even though a general dentist may be able to place dental implants does not mean they specialize in that field. Our team specializes in implant dentistry and periodontics. We understand the importance of the supporting structure for a tooth. 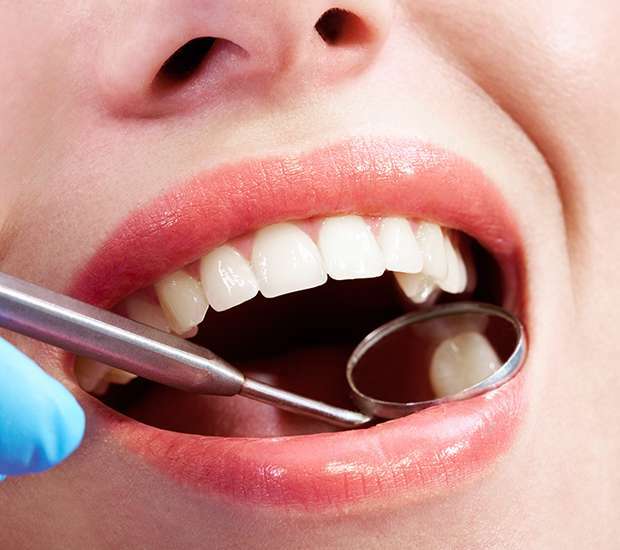 Our oral surgery services focus on helping to preserve and repair those aspects of oral health. 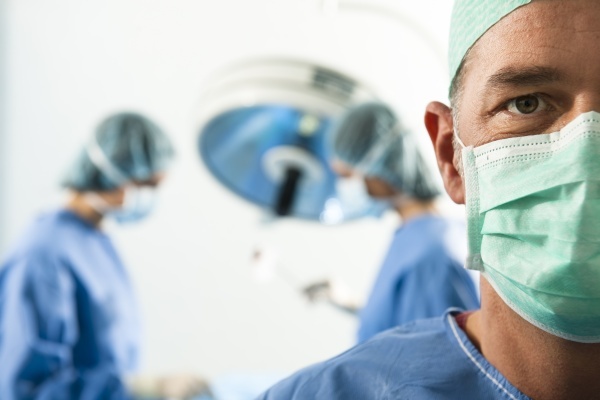 Here is information about each type of surgery and the reasons for why people may need them. Pulling teeth is a common dental practice that has multiple uses. If a tooth is infected to the point that it is not salvageable with a root canal, then an extraction is necessary. If a patient still has third molars in the mouth that are growing into the other tooth or not erupting from the gums properly, an extraction is necessary. By extracting a wisdom tooth or teeth, we can help relieve pain and prevent infection. If a wisdom tooth becomes impacted, it will spread to the surrounding teeth. Patients will be sedated during the procedure and will feel some soreness after. However, they will be asleep during the procedure itself. This procedure can also help to prevent crooked teeth and alignment issues in the future. Periodontal disease, a gum infection that can destroy the gums and jawbone, can cause pockets to form. These pockets are really the destruction of supporting bone and tissue forming holes around the teeth. This will cause plaque to gather and build up, leading to an infection. If the pockets grow too deep for a patient to clean with at-home oral hygiene, then this procedure is necessary. During this procedure, we will fold the gum tissue back and remove any bacteria. Next, we will secure the tissue back into place and then ensure everything is in order before the end of the surgery. People may not realize the chewing surfaces of teeth have ridges that are just as susceptible to damage as anything else in the body. Ridge preservation can help to strengthen the jawbone around the socket and help to keep patients healthy. Without this procedure, the body can sap the bone from the jaw and cause the gums to recede. Socket preservation also helps to protect the alveolar ridge, the piece of bone that surrounds the roots of teeth. This can also help to prevent dry socket if a blood clot forms after an extraction. With these procedures, it is possible to help preserve as much of the original teeth, gums, bone and tissue as we can. 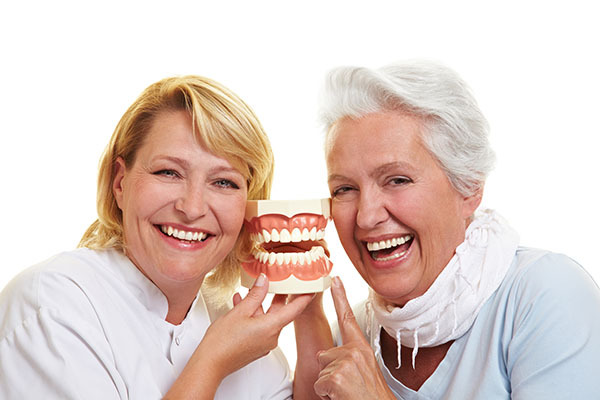 With full mouth rehabilitation, we can combine multiple treatments together to enhance a smile. This can include combining getting dental implants with another procedure to enhance both the structure and appearance of the teeth. We will take the time to go over the patient’s needs and determine the most effective course of action. Patients who do not like the appearance of a gummy smile, or smile in which the gums extend further over the tooth enamel, can benefit from a dental crown lengthening procedure. This procedure can help to reshape the excess tissue so the teeth become more visible. This procedure will vary per patient and how much or little tissue we need to alter. Bone, gum and soft tissue grafting can help to strengthen specific areas of the jaw for placing dental implants or completing other procedures. Once an adult loses a tooth or teeth, the body can begin to absorb the calcium due to a lack of stimulation. In order to place an implant in the socket, there needs to be enough strength to support the implant and for the surrounding bone to merge with it. Call us to schedule an appointment and learn more about hos these procedures can help you. When a tooth needs to be extracted, it is often a simple, non-invasive procedure that can be performed in a single visit by your general dentist. Sometimes, however, extracting a tooth isn’t as simple as grasping and removing it. If the tooth is severely damaged, infected, or impacted within the jawbone, you may require surgical tooth extraction at the hands of an oral surgeon or periodontal specialist. Oral surgery will allow Dr. Everett and Dr. Morgan to access the tooth structure underneath your periodontal tissues and jawbone so he can extract the tooth and minimize damaging the teeth and structures around it. An impacted wisdom tooth that does not erupt fully (or at all) onto your dental ridge. A tooth with a fractured or broken root. A tooth with anatomical issues, such as long or curved roots. Teeth that exhibit extensive damage and cannot be removed through simple tooth extraction. Local anesthesia and dental sedation may be administered before and during surgical tooth extraction, and recovery times vary depending on the extent of the procedure. Nevertheless, most patients fully recover and can return to work within a day or two. If appropriate, Dr. Everett and Dr. Morgan will discuss your options for replacing the extracted tooth with a dental implant-supported restoration. Ridge preservation describes a variety of bone grafting procedures designed to maintain your bone levels, especially after extractions. Typically after an extraction, the bone will undergo drastic changes having lost its primary function of supporting the root. Without a purpose, the bone will dissolve releasing its mineral content into the blood stream and other parts of the body. Dr. Everett and Dr. Morgan will use a barrier membrane to protect the bone graft as you heal. Grafting bone into your extraction site can help prepare the jawbone for dental implant placement or other restorative options, as well improve the aesthetic quality of your mouth and smile. Because your lower jawbone, or mandible, is the denser of your two dental ridges, bone grafting is typically a straight-forward procedure. Using a biocompatible bone/tissue growth matrix (in the form of bone/tissue barrier membranes), Dr. Everett and Dr. Morgan can help guide the growth of new bone structure where necessary. Your upper jawbone, or maxilla, is not as dense as the mandible. Above it lies the empty, mucus-lined cavities of your maxillary sinuses. Preserving your upper dental ridge could require a surgical procedure, known as sinus augmentation, to lift the sinus floor before fortifying the jawbone with a bone graft. If you’ve lost one or more teeth, have remaining teeth that suffer from malocclusion (misalignment), and exhibit problems with your periodontal health, then you may be a good candidate for full mouth reconstruction. Dr. Everett and Dr. Morgan will consult with your general dentist and other oral health specialists to devise a custom rehabilitation plan that will address your various oral health issues with minimal, conservative treatments. To support and protect your teeth, restoring your periodontal health is one of the most important building blocks of full mouth rehabilitation. If you exhibit signs of periodontal disease, or if you’ve already suffered tissue, bone, and/or tooth loss from the condition, then Dr. Everett and Dr. Morgan may recommend periodontal treatment as the first step. If one, several, or all of your teeth are crooked (a condition known as malocclusion), then orthodontic treatment will likely be a part of your full mouth rehabilitation plan. If an impacted canine, or severely crooked tooth interferes with orthodontic treatment, Dr. Everett and Dr. Morgan may extract the tooth before your braces are bonded in place. Whether you lost a tooth to periodontal disease or dental trauma, or you’ve had a tooth extracted because it could not be restored, tooth replacement is necessary to restore your bite function. The right procedure can also help prevent future tooth loss, such as dental implants that replace the root and provide the stimulation needed to keep the alveolar bone strong and healthy. If the mobility of your lower denture is problematic for you or a loved one, Dr. Everett and Dr. Morgan may recommend several implants to help anchor the lower denture to the lower jaw. Ideally, four implants are placed for stability on the lower jaw, but many times, two implants can provide adequate retention. Since the bone of the upper jaw tends to be less dense, more than two implants are often needed for proper retention. Every case is unique and only after a comprehensive exam with radiographs can Dr. Everett and Dr. Morgan custom-tailor a treatment plan to your needs and desires. Tired of Having to Remove Your Dentures Daily? Come into High Plains Periodontics And Implant Dentistry for a consultation regarding hybrid dentures. Hybrid dentures are typically retained using four to six implants per dental arch. With proper oral hygiene at home, maintenance visits are only required every six months to a year, and include removing and cleaning the denture, and checking the implants and surrounding tissue to maintain their health and function.